Google’s Now technology delivers mobile users with up-to-date information based on search history, location and time of day. For example, it can provide weather and traffic information based on it’s observation of a user’s daily routine. 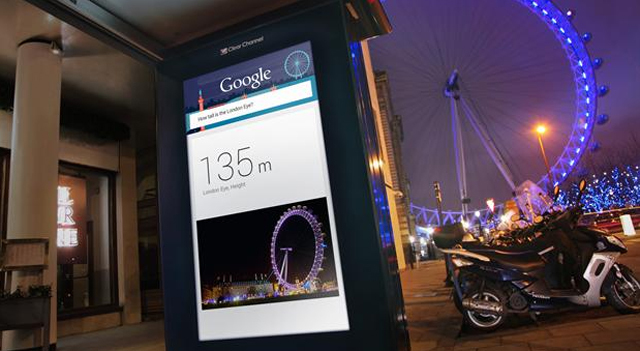 Google has partnered with R/GA London to bring Google Now to digital display screens at 160 bus shelter and Underground locations around the city. The pilot project dubbed “Google Outside”, takes into account such things as location and the weather to provide timely information about attractions and businesses in the local area.